Yes, this smartphone repels mosquitoes. 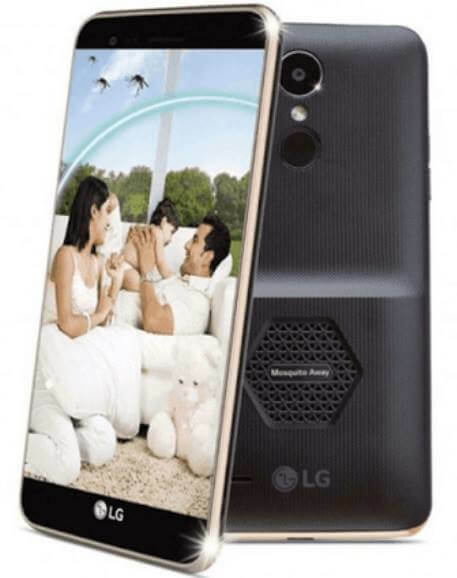 LG recently announced a new smartphone in India that is supposedly made to repel mosquitoes. The device is called the LG K7i armed with the Mosquito Away technology. For countries like India and the Philippines, where mosquitoes are basically everywhere, such technology is a great feature. The Mosquito Away technology sends out an ultrasonic sound waves that are inaudible to us humans but alarming to mosquitoes. This will then repel them and you don't have to worry about mosquito bites while the phone is around you. And LG did not compromise the specs here as well. The LG K7i sports a 5-inch 854 x 480 display, 2GB of RAM with 16GB of expandable storage, 1.1GHz quad core processor, and a 2,500mAh battery. Camera wise, it has an 8MP rear camera with LED flash plus a 5MP shooter up front. It is WiFi capable, which is pretty standard these days. Moreover, it also has dual SIM slots and surprisingly enough, a fingerprint scanner. The LG K7i is a very decent and usable smartphone. Especially when you consider the price. It is going to have a price of INR7,900 which is around Php6.2K when converted directly to our currency. This is a smartphone that is innovative, It is the only smartphone I know that has "mosquito repelling" as one of its main feature and I applaud LG for taking such a risk.